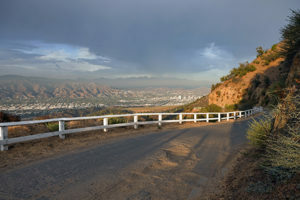 Burbank is known as the “Media Capital of the World,” since majorly influential companies are headquartered there – including The Walt Disney Company, Nickelodeon, Warner Brothers Entertainment, and others. The motto of the city is “A city build on people, pride, and progress.” At Flue Steam, we have the excellent staff who take pride in what they do every day to help commercial kitchens run safely and efficiently every day. Now that’s progress! We would love to partner with you to make sure your commercial kitchen is safe from flash fires and runs efficiently in a daily basis. Learn more about our services below and don’t hesitate to give us a call at 800-700-FLUE to set up your first cleaning appointment! We at Flue Steam have been providing impeccable steam cleaning services for commercial kitchen throughout Burbank, CA, for over 48 years. 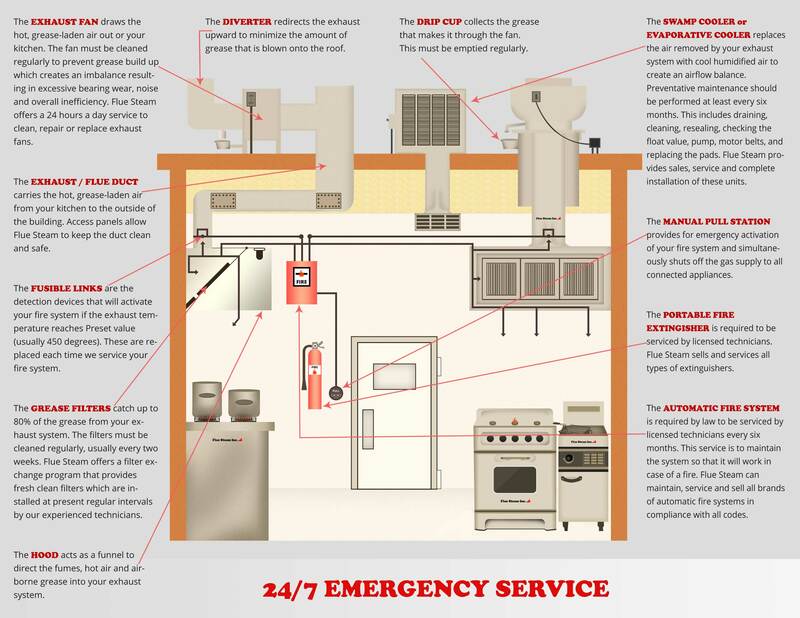 Whether your commercial kitchen is part of a restaurant, hotel, college campus, retirement facility, or anything else, we know it’s important to make sure it is as safe and efficient as possible. One essential way to accomplish this is by setting up regular steam cleaning services from the best company serving Burbank, CA – Flue Steam. Using specialized equipment and tried-and-true methods, we will use hot, pressurized water to blast grease off every nook and cranny of your commercial kitchen exhaust system, including the exhaust hood, ducts, drip cups, and exhaust fans. We can even install code-required access panels in your ducts to enable you to receive the most comprehensive kitchen exhaust system cleaning possible. Not sure how often your commercial kitchen exhaust system should be steam cleaned by our experts? Don’t worry, we’d be happy to advise you. If your cooks fry and broil food on a daily basis, you’ll need to sign up for frequent cleanings. But if you have a sushi restaurant, for instance, that doesn’t require cooking with grease very much, you can sign up for steam cleaning services on a less frequent basis. Let’s talk! You can reach us at 800-700-FLUE. Our top priority is the complete safety and efficiency of your commercial kitchen. As a result, we offer various bonus services. Every regularly schedule steam cleaning visit includes an exhaust fan inspection. We’ll check the belts and other parts and grease your fan bearings. If your belts are worn out and you happen to have a replacement handy, we’ll install it for you at no additional charge. This makes sure your exhaust fan is able to draw properly every day so that your system stays cleaner longer. So many people have relied on us in Burbank, CA, for steam cleaning and other essential services. Give us a try today! Schedule your first cleaning appointment at a date and time convenient for your busy schedule by calling 800-700-FLUE.